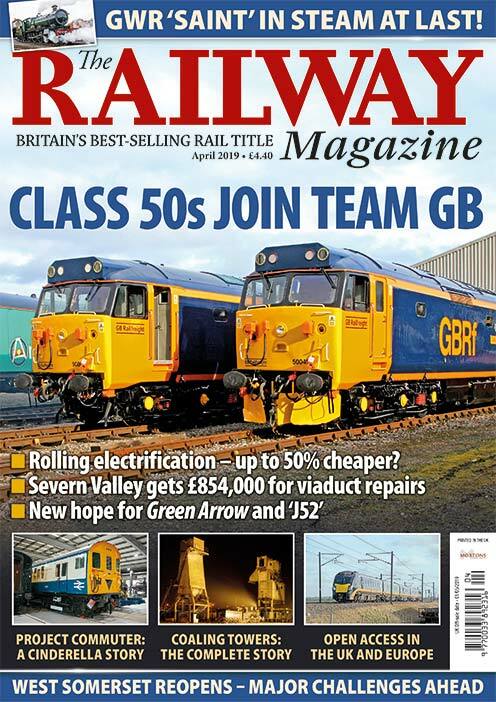 For a small team that is passionate about railways, who produce the magazine month in, month out, it’s a great milestone – one we are all very proud of. Little did I realise that when my first photograph was published in the December 1982 issue that one day I’d end up in the editor’s chair. In fact it seems no time at all since our centenary issue 20 years ago – such is the pace of railways. 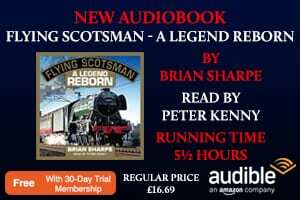 In the 50 years since the end of steam on the Southern Region, a lot has been said and written, so rather than re-hash it we have a special Practice & Performance feature looking at some of the epic runs of Southern steam in the 1960s. Also this month, the full story of the prototype Kestrel during its BR days is revealed, with the mysterious Russian side of the tale following next month. Also with this issue you will find a free 32-page supplement featuring the work of some of the country’s leading railway photographers. Many of the images are thought provoking or just stunning in style and quality, with several others being different from the normal record shot, too. Finally, reaching our 120th birthday has only been achieved with the sterling support of our readers for which I thank you, but I often wonder who our oldest continuous reader is? We’d like to know so please email or write to us. A REPORT commissioned by the Department for Transport (DfT) and produced by Network Rail non-executive director Chris Gibb on how to deliver improvements across the Govia Thameslink Railway (GTR) franchise makes for uncomfortable reading for both Government and rail unions. 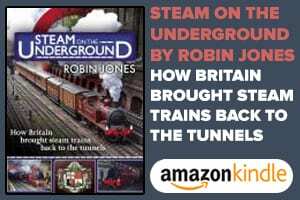 Gibb, a highly respected career railwayman, has produced a hard-hitting report that highlights many shortcomings on GTR, including his belief the franchise was awarded because it was the cheapest bid. The report further states the infrastructure is poor and unreliable for the number of trains it carries; out of more than 20 stakeholder organisations with an interest in the franchise, not one shared the same incentives or objectives; there was a lack of drivers on Southern when GTR won the franchise, later exacerbated by unusually high levels of short-term sickness and a lack of willingness by drivers to work overtime, making it difficult to maintain a full timetable. Then there has been more than a year of bitter strikes (30 days in total) which Gibb says is difficult to comprehend, adding that nobody has been made redundant or lost pay against their wishes, and there will be more GTR trains operating with two people on board. If that wasn’t bad enough for a franchise under so much pressure from the start, Mr Gibb highlights shortcomings over the placement of depots in the wrong location as well as both stations and depots unable to handle 12-car fixed-formation trains – a staggering oversight considering these trains were known about in 2011 and the depots two years later. This warts and all report of 163 pages delves deep and not much appears to have been redacted. The more you read, the more you realise how the winning bid was trimmed to the bone in a bid to win. GTR removed 45 face-to-face train crew supervisors, replacing them with a team of 21 controllers in Three Bridges ROC, managing train crews by phone. Many experienced staff left the industry, taking their knowledge with them, leaving those that remained struggling to cope when the train service goes pear shaped. Little wonder satisfaction levels from passengers are so low. It’s nothing short of a shambles and you wonder what the franchising team at the department have been doing? Stripping GTR of the franchise – as has been called for – will achieve nothing other than delay any improvements. Many of Chris Gibb’s recommendations – including changes to rolling stock and electrification of the Uckfield line – make an awful lot of common sense, and it makes me wonder why no one has considered these suggestions before. However, what this report will highlight to many is the Department for Transport’s desire to merge the Thameslink, Southern and Gatwick Express operations into the biggest rail franchise in history has instead simply created a monster – one that is now out of control. It has to be classed an abysmal failure in terms of franchising, and no one can say the DfT wasn’t warned. Ministers and civil servants never seem to heed the advice from experts in their field. Corners are cut, costs are trimmed and the industry is left with a big mess to clear up at a cost of millions. What is needed now is someone to take overall charge of implementing the majority of the Gibb report’s recommendations and not to sit on the report for months or years as has become commonplace. Passengers want to travel with less disruption, and with more certainty and confidence. It’s the least they deserve.